Emmet Helrich is a former Lieutenant of the Burlington Police Department. He retired in 2012 after more than 31 years on the force. He now serves as coordinator of the Rapid Intervention Community Court, a program that removes people who have underlying substance abuse or mental health issues from the traditional court system and aligns them with appropriate community treatment programs in order to attend to their health needs, reduce harm to the community and save taxpayer money. Emmet is married with three children and three grandchildren. Science tells us that a child’s earliest experiences have the greatest impact on his or her future success. For children who receive high-quality care in the first years, that often results in achievement in school, relationships and the workforce. Preparing our children to become productive members of our society leads to greater economic prosperity and healthier communities for us all. But what is the cost of not investing early? 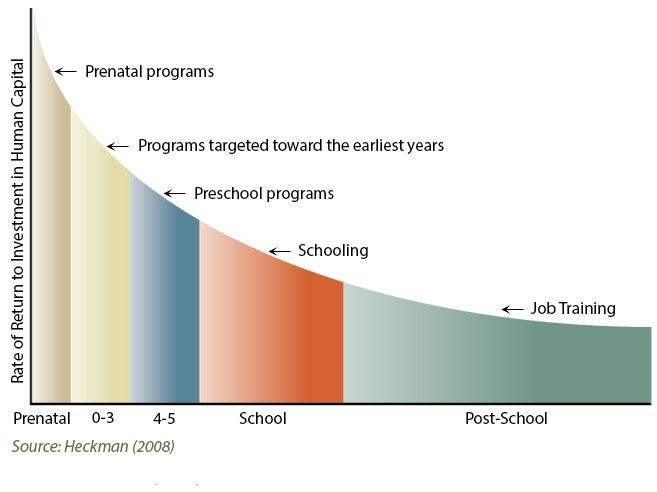 Science also shows that children who do not have quality early experiences—such as nurturing, supportive relationships with caregivers; stimulating learning opportunities; and freedom from toxic stress—are more likely to suffer negative life outcomes, such as teen pregnancy, crime, poor health and dependence on social services. With a $132 million in state dollars allocated to corrections in 2013, crime is one of Vermont’s biggest expenditures. Each inmate costs Vermont approximately $53,000 each year. In contrast, Vermont currently spends approximately $16,000 per year on each child from pre-kindergarten through twelfth grade (US Census Bureau, Public Education Finance Report). In 2010, the Chittenden County State's Attorney’s Office, in collaboration with Law Enforcement Agencies and the Community Justice Center, started an innovative approach to addressing repeat offenders, called the Rapid Intervention Community Court (RICC). Understanding the extremely high costs of incarceration and the demands and stresses on family life were among the primary motivators of the program. Children whose lives are dramatically interrupted when one or both parents are imprisoned stand to lose the most. The RICC program’s main focus is to address the root cause of the behavior causing the family disruption. Generally, that includes some type of substance abuse issue, mental health challenges or a combination of both. RICC looks to remove the person who committed the crime from the criminal justice system and focus instead on treating that person and helping them repair their relationship with the community. Those who successfully undergo treatment and dig themselves out from under the addictive behavior affecting their lives also learn coping and developmental skills that translate well into stabilizing their family life. Children witnessing and sharing in the transformation of their parents—even when it’s slight—have a far greater opportunity for success. In my more than thirty years of law enforcement I have seen the impact of dysfunctional family life. As of today, as coordinator of the RICC, I am seeing a third generation of young adults coming through the system who mirror the behaviors of the generations before them, such as breaking the law or experiencing teen pregnancy. 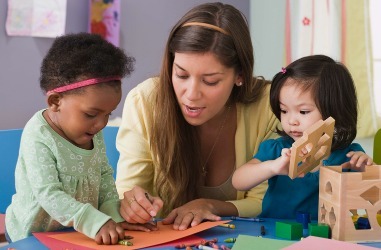 Caregivers play a major role in helping children learn about limits, boundaries and appropriate behavior. The hope is that children who have an opportunity to grow in a respectful, caring family will in kind grow to be respectful and caring adults in life. Future generations are depending on us to assure that each and every child gets the best shot at a successful life. Vermonters agree that every child deserves to thrive. But taxpayers cannot afford the growing expenditures associated with negative outcomes, such as substance abuse and crime. Tax money spent addressing these problems drains resources from Vermont businesses and individuals. The facts are clear: we all benefit if we do it right early, or we all pay more if we do it later.